I hope you're all having a great weekend so far! 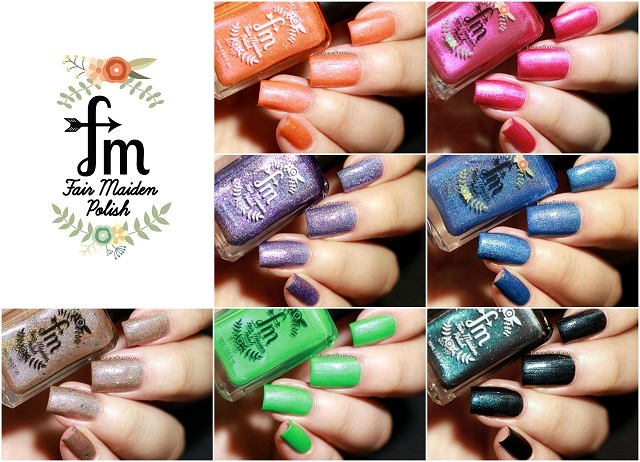 Anyway, today I have swatches of the Fair Maiden Polish Feline Catty collection to share with you. Let's give a closer look to this Disney cats inspired collection! Formula was nice and easy to work with on the entire collection. They all applied evenly and required 2 coats for full coverage. I used 2 coats plus topcoat in all of m swatches below. Rajah is a vivid melon orange with blue shimmer, violet sparkle as well as gold holo particles. Dinah is a bright magenta with a diffuse violet shimmer and turquoise shimmer particles. Duchess is a medium purple holo with pink to gold to green color-shifting shimmer and silver holo particles. 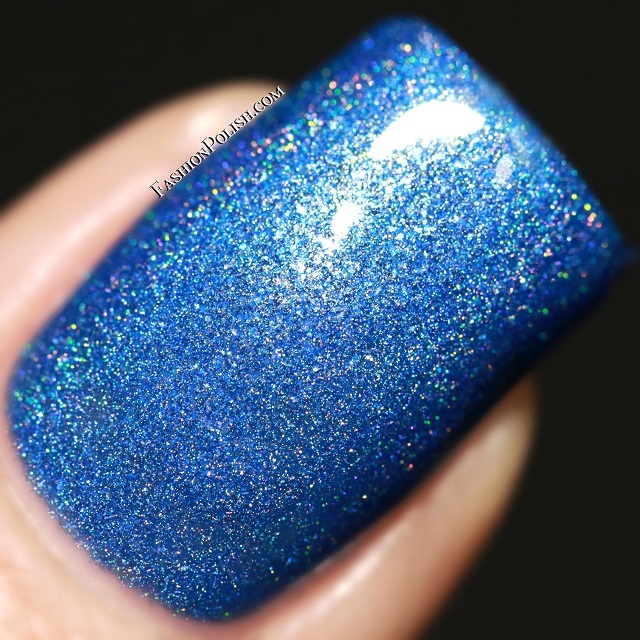 Si & Am is a bright blue holo with matching blue flakes and gold sparkles. Nala is a capuccino brown holo with a blue shimmer and turquoise holo hex glitters. Scar is a bold jade green creme with red to violet color-shifting shimmer. 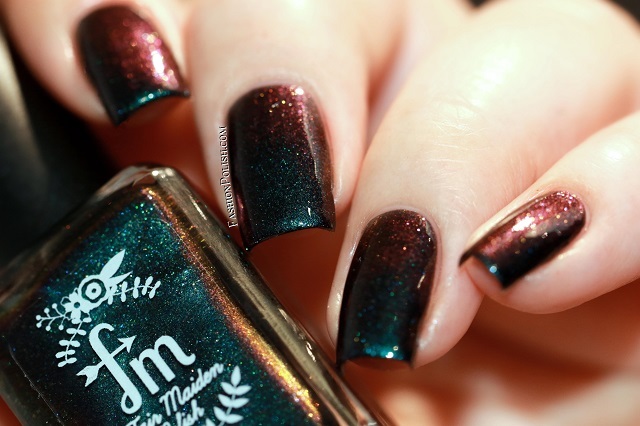 Lucifer is a blackened teal to purple duo-chrome shimmer with iridescent gold micro flakes. The Fair Maiden Polish Feline Catty collection is available for purchase on Color4Nails.com (international shipping available) and retail for $11 each. Thanks for looking and have a great weekend guys!